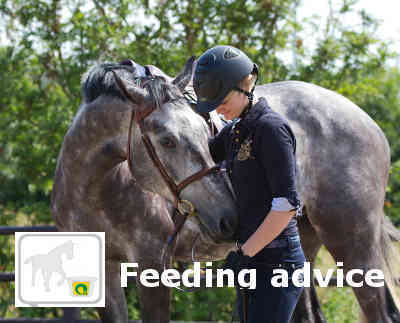 The right food is essential for a healthy and energetic horse. Hartog Lucerne-mix Digest is winner of the Horses.nl Product of the Year competition in the category Nutrition and that has to be celebrated! Proper nutrition for horses is very important. Lucerne horse feed from Hartog is of high quality and is very tasty for your horse. These products include healthy roughage and concentrate feed based on lucerne and grass. In general, lucerne as roughage should not be thought away from poultry farming. The poultry sector knows the way to find our Compact Lucerne and Compact Luzerne Organic to provide distractions and structure to their chickens. Read all about Lucerne for broilers and quality feed for healthy poultry. During the pregnancy, the Hartog Lucerne-mix is very useful due to its high calcium content in it's ration . This high content is good for the condition of the mare and for the bone formation of the unborn foal. In addition, lucerne for horses contains folic acid and β-carotene, and these vitamins are essential for fertility. When speaking of equine nutrition, in most cases the discussion centres on the right type of chunks, muesli or grain mix and the composition of concentrated feeds or the optimum ratio of these products. Seldom does the influence of roughage enter the discussion. The importance of the right type of roughage tends to be underestimated by most people. The fiber-rich Lucerne has a positive effect on the digestive system. Rabbits suffering from bowel problems such as diarrhea, cramps or clogging benefit from a ration of roughage such as Compact Grass and Hay with Lucerne.